The ketogenic (a.k.a. keto) diet has been growing in popularity, and for good reason. 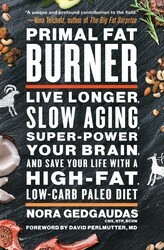 It focuses on low-carb, high-fat recipes that help you burn fat and lose weight–without going hungry. What’s more, this way of eating can lead to a more balanced relationship with food and improved overall health and well-being. Still, no matter how great the benefits of a dietary plan, there is always a temptation to sneak off for a “cheat” meal or even fall off the wagon completely when you don’t have a wide enough variety of food options. You’ll never need to worry about that, however, because there are a wealth of delicious recipes in keto diet cookbooks to keep you satisfied. So whether you’re looking for new dishes to try out yourself, or you’re planning a dinner party for someone who follows this popular method, you’ll find inspiration for the perfect low-carb menu among these 10 keto diet cookbooks. The ketogenic diet has gained in popularity, but that has led to some bad information being shared. You can do keto right, and you can do keto wrong. 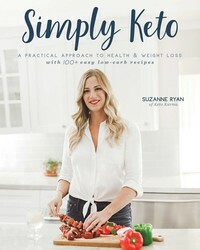 This book is all about how to do keto the right way! Despite what health science has beaten into us over the last fifty or so years, humans thrive on high-fat, low-carb diets. Millions of people around the world have discovered that a ketogenic lifestyle is the key to weight loss, disease prevention and intervention, and a more vibrant life. Gone are the days of constant hunger and low energy. This book leads you on a path to better health, a slimmer waistline, elimination of cravings, and endless energy. New York Times bestselling author Maria Emmerich and her husband, Craig, are going to take you on a journey to a new life—one that helps you lose weight, build muscle, and live the life nature intended you to live! 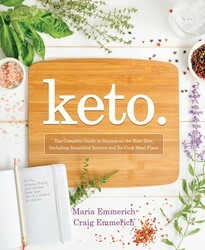 They've written a book that digs deep into the science of ketogenic dieting, explaining how dozens of diseases can be cured or controlled through keto and how ketogenic diets are fueling a new breed of athlete—all in an easy-to-understand way that breaks down the complicated science for you. 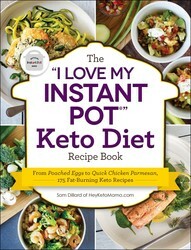 Discover the health benefits of the ketogenic diet with 300 low-carb, high-fat recipes for weight loss and more!The ketogenic diet is a healthy eating plan that is low in carbs, high in fats, and moderate in protein. When properly followed, this combination can lead to weight loss, lowered blood pressure and cholesterol, improved gut health, and increased brain function. 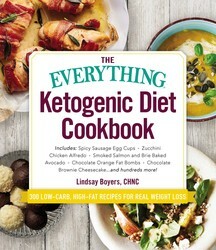 With 300 delicious and satisfying recipes for everything from energy-fueling breakfasts and smoothies to indulgent desserts and tasty snacks, The Everything Ketogenic Diet Cookbook is an all-in-one introduction to this wildly popular lifestyle. Packed with customizable daily meal plans, this cookbook has everything you need to adapt to the ketogenic diet, and can help you lose weight and improve energy, without feeling deprived. 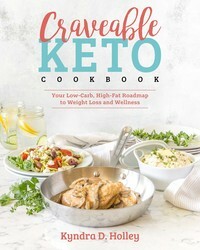 Craveable Keto will serve as your personal road map to living a healthier life, with Kyndra as your guide. 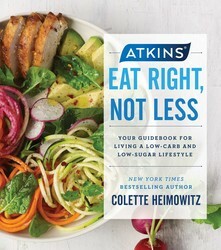 She takes you step-by-step through making healthy, low-carb versions of your favorite, most craveable dishes, such as: Everything Bagel Dogs, Lasagna Zucchini Roll-Ups, Dill Pickle Brined Fish and Chips, Salted Caramel Nut Brittle, Chocolate Chip Cookie Dough Bites, Green Goddess Chicken Dip, and Buffalo Chicken Flatbread. Bite-sized snacks packed with delicious flavors and healthy fats! 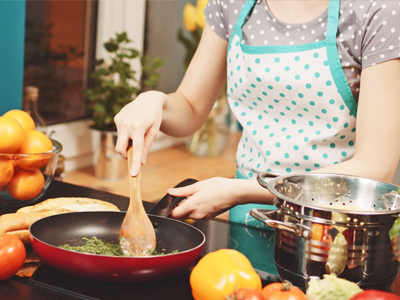 Interested in trying the ketogenic diet and looking for some tasty recipes to try out? Look no further! 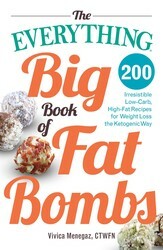 The Everything Big Book of Fat Bombs delivers 200 indulgent sweet, savory, and liquid fat bombs recipes that will help get rid of those stubborn pounds, take the place of sugary desserts, boost energy levels before or after workouts, and help you reach your daily fat requirements, a necessity when maintaining ketosis. Fat bombs are high-fat, low-carb treats and snacks, ideal for boosting fat intake when following a ketogenic diet. With these easy recipes, you'll always have something delicious and satisfying to snack on while following the ketogenic diet, such as: Fudgy Macadamia Nut Fat Bombs Bacon and Egg Fat Bombs Mocha Chia Pudding Panna Cotta and Cream Hearts Macaroon Fat Bombs Savory Pizza Fat Bombs Fried Queso Fresco. The 30-Day Ketogenic Cleanse is a guidebook for healing the body from the inside out. Most people attempting a keto diet do it completely wrong. 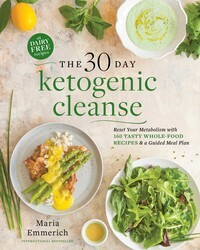 Maria Emmerich, on the other hand, bases this cleanse on a true, well-formulated ketogenic diet, helping readers reset their metabolism, regain health, lose weight, and tap into increased energy levels. 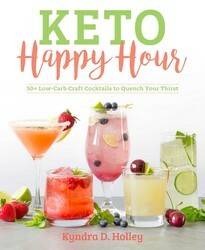 This book includes: A detailed explanation of how sugar causes inflammation and leads to disease; 30-day meal plans to kick-start ketosis, with corresponding shopping lists; 30-day Whole30-compliant meal plans, with corresponding shopping lists; a wide variety of amazing recipes, with suggestions for combining those recipes into delicious and satisfying ketogenic meals; and easily accessible lists of approved keto foods and foods that hold people back from ketosis; and guidance for maintaining ketosis after a successful 30-day cleanse.